Why Join Us ? 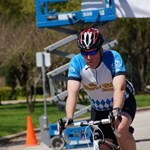 Just Ride For A Just Cause is an MS150 Recommended bike ride on the west side of the Greater Houston Metropolitan area. The proceeds from the JR4JC ride supports Passion ... morefor Humanity on the fight against human trafficking. We will have a staggered start with the longest distance riders leaving first. Lunch is provided for all participants. NOTE: All routes involve extensive time on public roadways. All traffic laws and MS150 requirements must be followed. Scenic routes passing state of the art – ergonomically designed business complexes, historic landmark sites, award winning neighborhoods, and master-planned parks, will present to riders the essence of a City that is recognized as one of the best places to live in the State of Texas. 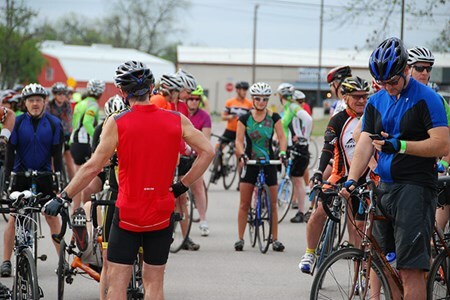 With three distance options, the Brazos River Bike Rally is the perfect event for leisure riders or cycling enthusiasts. All 20, 40, and 60 mile routes are routinely supported with rest stops, hydration products, food to fuel the journey and cheerleaders to encourage your effort. Rally events take place on paved roads. They can be urban or rural setting, or a combination of both. The topography can range from flat to mountainous, creating events with a wide variety of character. 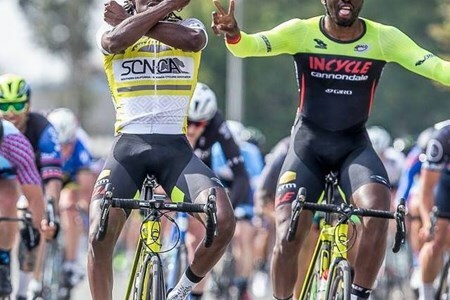 This is classic bike racing and events are held on every continent. 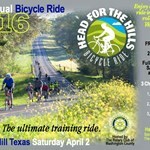 The Fort Worth Bicycling Association invites you to the 43rd Annual Easter Hill Country Tour (EHCT). Experience the charm and hospitality of the Texas Hill Country and three days of ... morethe best riding Texas has to offer for as little as $45. 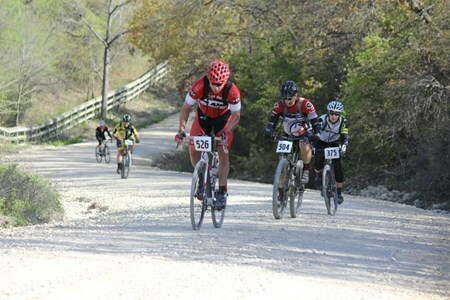 Quiet, well-paved roads, challenging terrain and panoramic scenery have made the EHCT one of the premier cycling events in Texas with routes suitable for all categories of participants from novices to experienced riders. 7:00 am - 4:00 pm. Friday's rides start out of the Fredericksburg High School. Check the route sheet for rest stop closing times. 7:00 am - 4:00 pm. No mass starts but many riders usually plan to meet up at the University parking lot. No century route offered. Check the route sheet for rest stop closing times. 7:00 am - 1:00 pm. No mass starts but many riders usually plan to meet up at the University parking lot. Sunday routes will be unsupported (meaning no rest stops or SAG). 7:15 am. Easter Sunrise Service. Meet on the outdoor patio off the registration area at Schreiner University. Cycling and casual wear are welcome. The Fort Worth Bicycling Association would like to thank the following for their support of the 2016 Easter Hill Country Tour. WELCOME TO THE ARK-LA-TEX CHALLENGE Welcome to the Ark-La-Tex Challenge benefitting Texarkana Resources for the Disabled. Here, you will find all the information you will need about ... morethis year's tour ride (routes, online registration, accommodations, activities, sponsorships, and more). We want you to have a great experience as you ride in this year's event. Can't wait to see you on April 2, 2016. All cyclists will ride through the beautiful picturesque countryside; scenic course/route includes some challenging rolling hills with some long fast flats as it winds through several rural towns. As always, the routes will have an abundance of rest stops approximately every 10 miles. 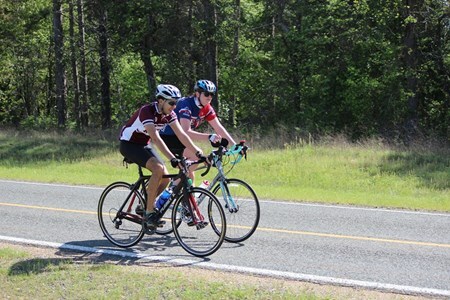 This year s ride will again offer a special route enabling the cyclist to experience one half of the Ark-La-Tex Challenge. 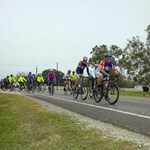 The 35 mile Ark-La-Tex route will offer a supported return the 3 States Rest Stop. Pre-registration and packet pick-up Friday, April 1, 2016 3 p.m. to 6 p.m.
Saturday, April 2, 2016 7 a.m. to 8:45 a.m.
Tour Rally will begin at 9 a.m. 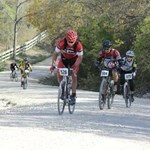 The Red River Riot is back and better than ever with the focus being the best and most challenging route possible. In addition to our traditional social/fun rides with staging area ... morefestivieites, this year kicks off some new formats which will include REAL racing as well as a 200 mile option. Get your spot early to guarantee a shirt and a plate of Spinistry chow. 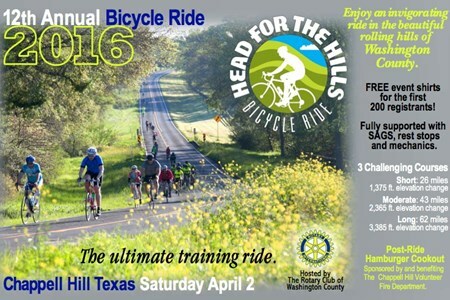 12th Annual Bicycle Ride - 2016: The 12th annual H4H Bike ride is sponsored by the Washington County Rotary Club. Located on Hwy 290 just outside Brenham, Texas. The ride has three ... morechallenging courses: Short 26 miles, Moderate 43 miles, and long 62 miles. 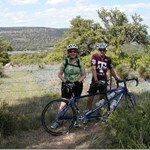 This is a great training ride through the bluebonnets and pastoral backroads of Washington County. This ride is well supported with SAG vehicles, rest stops, Bike Mechanics, and traffic control at major intersections by The WC Sherrifs Dept and Citizens On Patrol. Enjoy an exhilarating ride through the hills of northeast Washington County while partaking of a visual feast of bucolic scenery and, with the cooperation of Mother Nature, a magnificent of display of wildflowers. The Chappell Hill Volunteer Fire Department will again provide a hamburger repast to recharge your batteries after the ride (extra charge). First 200 registrants receive free t-shirts. Supply of T-shirts available for sale to any registrant online or day of ride increased again this year. On the Thursday before the ride, March 31st from 5pm to 8pm, there will be a silent auction where you can meet the students and people behind the ride. Pick up your ride t-shirt. Bid on awesome items. Enjoy live music and great free food at the Rosedale School. It’s always wonderful to see the community come out to our home base. 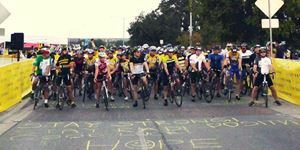 What: The Rosedale Ride is an annual charity bicycle ride with routes of 23, 42, and 62 miles and a children’s fun ride of 2 miles. Begins and ends at Samsung Austin Semiconductor. 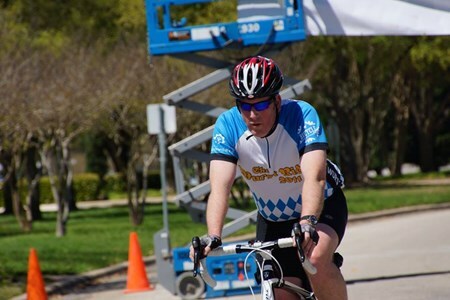 Why: The Rosedale Ride raises money for the Rosedale Foundation, a (501-c3) non-profit organization, whose mission is to support the children of Rosedale School, AISD’s only school exclusively for children with multiple disabilities and profound needs. LBJ 100 Bicycle Tour 2016 - Presented By Friends Of Lyndon B. Johnson National Historical Park & National Park Service: Starting and ending on the famed LBJ Ranch, the routes ... moretake riders under majestic live oaks, past historical landmarks that figured prominently not only in the Johnson family history, but also in U.S. presidential history. See the descendants of President Johnson's famed Hereford cattle herd as you exit the Ranch. Thereafter, it's on to spectacular Hill Country cycling – on smooth-surfaced ranch-market roads and bucolic country lanes that will take you back in time. Visit rural, historic Gillespie County schools that do duty as rest stops on this scenic tour. This is truly a "Ride to Preserve History." The LBJ Ranch closes at 5 PM. To ensure that all cyclists have returned to the start/finish line by 4 PM the following mandatory pick up rule applies: Cyclists traveling the 30 & 42 mile routes must have reached Rest Stop #9, located at Nebgen School, by 2 PM in order to continue the ride. 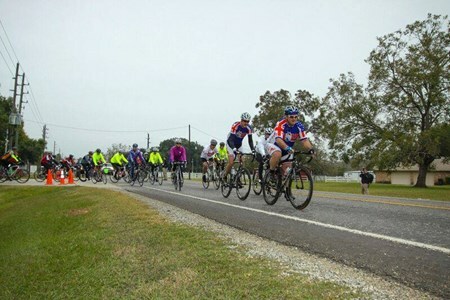 Cyclists traveling the 62 mile route must have reached Rest Stop #7, located at the intersection of FM 1320 and FM 2721, in order to continue the ride. LBJ 100 administrators and partners will travel the routes from the rest stops backwards to pick up cyclists and provide transportation for cyclists back to the LBJ Ranch. The ride begins and ends at Georgetown High School in Georgetown, TX. 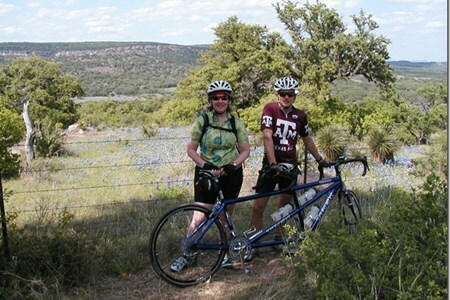 The ride benefits the Autism Society of Central Texas. All proceeds stay local to fund programs, promote education ... moreand awareness, and provide access to resources for families living with Autism. Registration for the ride is $50 for all distances and for the Fun Run/Walk is $25. The registration fee includes an event T-shirt as well as as lunch after the event and snacks and drinks at multiple rest stops along the routes. The walk and fun run will begin at 9:30 am and the post-event party will follow. See the full event schedule for more details. Lampasas Hillacious Bike Tour - Presented by Hillacious Bike Tour Committee Bike tour to benefit two non-profit organizations in Lampasas, TX, a group dedicated to enhancing the aesthetic, ... moresocial, cultural, and economic welfare of the historic downtown Lampasas District and surrounding areas, and LAFTA [Lampasas Association for the Arts], also a non-profit organization dedicated to expanding opportunities for everyone to experience the arts by founding and running the Hanna Springs Sculpture Garden, both of which coordinated with the Lampasas Chamber of Commerce to bring about this ride. 2 area bike shops will be present to provide adjustments prior to the ride. They will also have items available that you may have forgotten to bring. Cycling calendar for finding organized gran fondo type charitable mass bike rides. Search weekly charitable group rides of all skills levels and ability from beginners to advanced cyclists. Extensive search options give you access to charity bike rides sponsored by your favorite foundation, organization or charity. Charity cycle rides range from easy couple of hours fun rides to multi day organized bike rides of hundreds of miles over different terrains.